Recover lost and deleted Microsoft Office documents quick and easy with Office Recovery, a complete undelete and recovery solution for erased and damaged office documents. Inserted an old disk with some really important stuff and discovered it doesn’t read? Can’t access a CD or DVD, and cannot copy any files? Added a new session and lost the old ones? CD & DVD Recovery will take care of files and data from the optical media, including CD and DVD disks of all types. The recovery process is truly automatic. Just insert a bad disc in the CD or DVD drive, and run CD & DVD Recovery. Tell CD & DVD Recovery which disc to recover, and click next. Everything else will be done completely automatically. Want full control over the recovery process? You are free to use CD & DVD Recovery in manual mode. Access session and track individually, and choose the file system depending on the session. CD & DVD Recovery does not lock up your computer while scanning a CD or DVD and encountering a bad sector. The low-level access to optical media ensures smooth performance and problem-free operation. You don’t have to do anything but click ‘Next’ in order to recover your files! 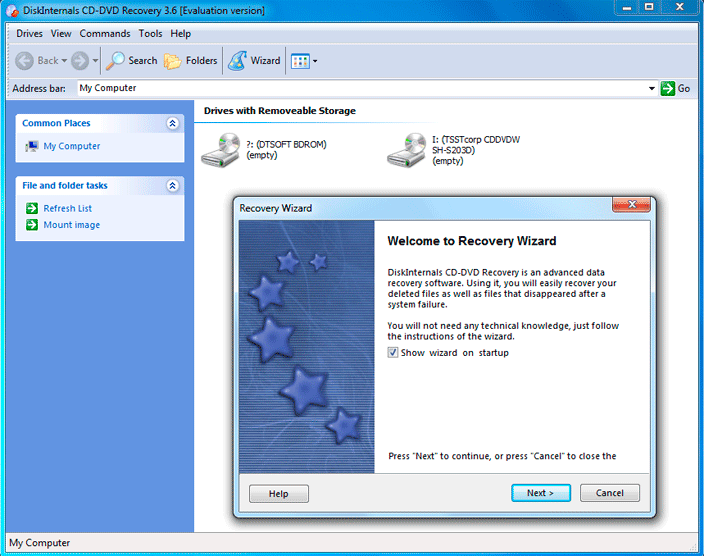 The file recovery wizard launches with CD & DVD Recovery and only asks a few questions to begin the recovery. 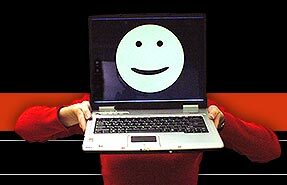 CD & DVD Recovery recovers data from CD and DVD media, including multi-session ones. CD & DVD Recovery supports CD-R, CD-RW, DVD-R, DVR+R, DVD-RW, DVR+RW, DVD+R DL, DVD-R DL and DVD-RAM disks, and processes ISO 9660, Joliet and UDF file systems. Bad sectors are skipped without lock-ups. In order to allow you a full evaluation, the free edition of CD & DVD Recovery allows saving files up to 64 KB before you pay. Just download CD & DVD Recovery and insert a bad disc to start recovering!